The Central Bank's Deputy Governor said that while the bank's mortgage deposit rules are "a heavy burden" on many people, she believes there is a public understanding that the measures are necessary and better than the alternative. Speaking at the Dublin Economics Workshop in Wexford, Sharon Donnery said that while the use of such rules may not have averted the crisis a decade ago, the scale of the downturn here could have been limited and the high cost to citizens reduced. 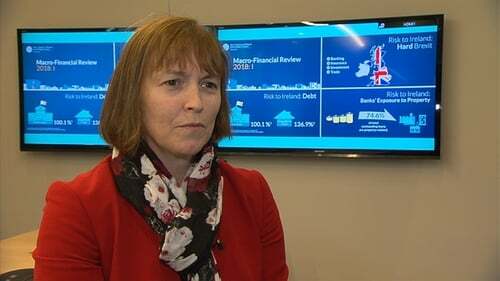 Sharon Donnery outlined five key lessons from the Irish financial crisis. These include the need to mitigate the build-up of systemic risk, with both macro-prudential and micro-prudential policy tools. Ms Donnery also stressed the need for all sectors of the economy - banks, individuals, households, businesses and government - to build resilience, adding that while the type and quality of regulatory capital - and not just the level - are important for banks. She said that while some banks will inevitably fail, in order to protect taxpayers, the Central Bank must actively prepare for their failure and ensure that impediments to resolvability are removed. The Central Bank Governor also said the crisis showed the need for cross-border authorities, but further work must be undertaken to sustain the Banking Union. "Whilst not unique to the Irish experience, some are lessons which we in Ireland learned, to devastating effect, the hard way," she said. "The crisis affected every aspect of Irish society, of the Irish economy, of the Irish banking system. A decade later, significant numbers of people across the country are still dealing with its legacies," Ms Donnery said. She stressed that the lessons from the crisis should be kept to the forefront of the Central Bank's mind, in its work, in its thinking, and in its communications. "Then, our combined efforts to highlight and address risks and build resilience will make the financial system stronger and safer, thereby safeguarding stability and protecting consumers," she added.